Here at Atlantic Shopping we’re constantly updating our stock, ensuring we provide our style savvy customers with the latest interior trends. In our commitment to delivering state-of-the-art designs, we’re excited to reveal that we’re expanding our range of stylish premium quality wooden furniture. 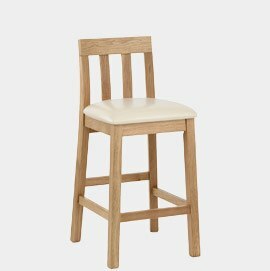 Not only are we launching several brand new lines of fabulous solid wood stools, but we’re also releasing some old favourites in a range of chic new seat materials. 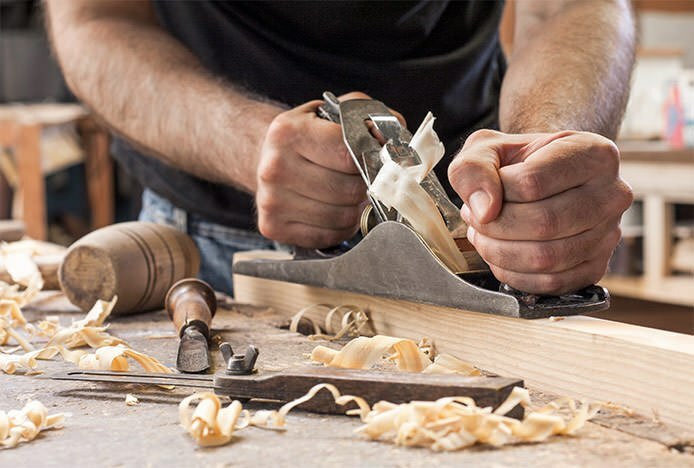 With the rise of handcrafted designs and natural textures, there’s no doubt that the fashion is gravitating towards natural products, with wooden furniture paving the way. Strong, stable and substantial, it's a dependable choice with a long list of positive attributes. Versatile and adaptable, wooden models suit a vast array of different interior settings making them increasingly popular. Traditional, conventionally shaped designs naturally enhance classic décor, bringing a timeless quality and touch of sophistication. Likewise, simple understated models will add a rustic charm and homely ambience to country farmhouse styled interiors. 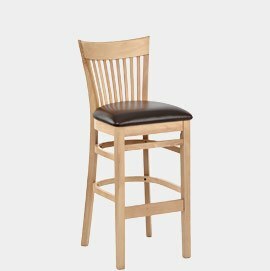 Remember the Leo, Hobart and Jacob Oak & Leather Stools? Due to popular demand, we’re introducing all three models in a variety of chic new seat colours. Crafted from solid oak, this premium material is an immensely popular choice due to its robust, dependable nature. It’s characteristically versatile and adaptable, complimenting a real range of décor styles and interior settings. 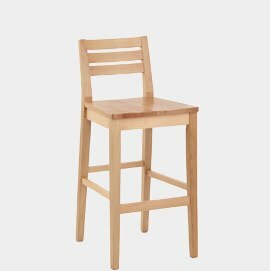 Sat at standard kitchen stool height, these much-loved designs would be ideal for a breakfast bar in a kitchen with matching wood panelled cupboards. Furthermore we’ve reduced the price, meaning you can grab yourself a top quality product at a low cost price. The Leo is a widely admired classic, its backless design and compact nature meaning it can be neatly tucked away under the kitchen counter for easy storage. A perfect perching spot when preparing the dinner or simply a slimline alternative to bulkier bar stools, the Leo is a great minimalist choice if you’re looking to save on space. Boasting multiple bracing bars, the Hobart offers a decidedly sturdy and substantial frame. With a beautiful vertical slatted backrest that’s ergonomically curved for your comfort, it delivers style as well as substance with a sleek polished finish. Chic yet subtle, the Jacob is an unfussy design that exudes rustic warmth. Its simple, clean-cut backrest with modest vertical slats make it a trendy choice, whilst the trademark bonded real leather seat pad adds a luxurious addition. Our brand new bar stools – Bernice, Francis and Aaron – are made from solid beech, a durable and secure material that will not disappoint. Immensely popular due to its ability to match other furniture, beech is a light coloured grain that’s attractive, airy and spacious. 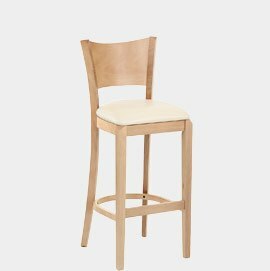 Sat at commercial height, they’re a great addition to our expanding commercial bar stool range and would make a welcome addition to a vast array of commercial dining environments as well as domestic settings with raised worktops. 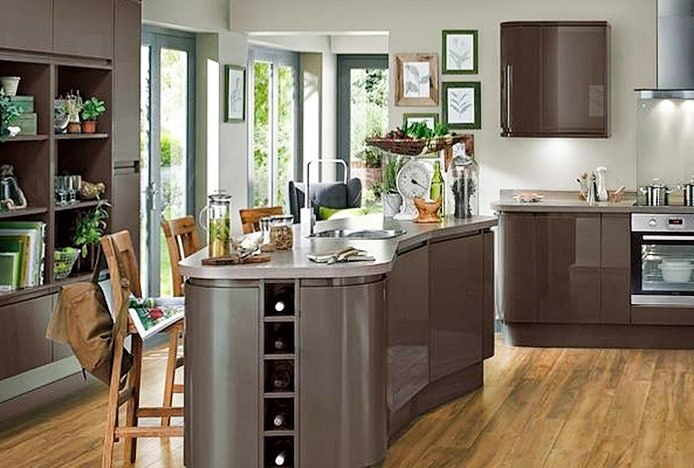 Whether you prefer beech or oak, our solid wood designs will not let you down. 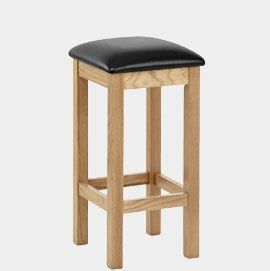 Why not browse our full range of fashionable wooden bar stools and see for yourself the vast array of stylish designs on offer. 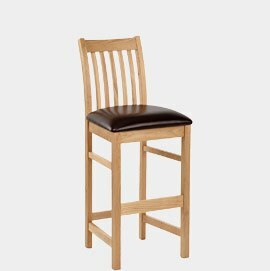 Explore our fabulous range of traditional bar stools, with a stunning modern twist..